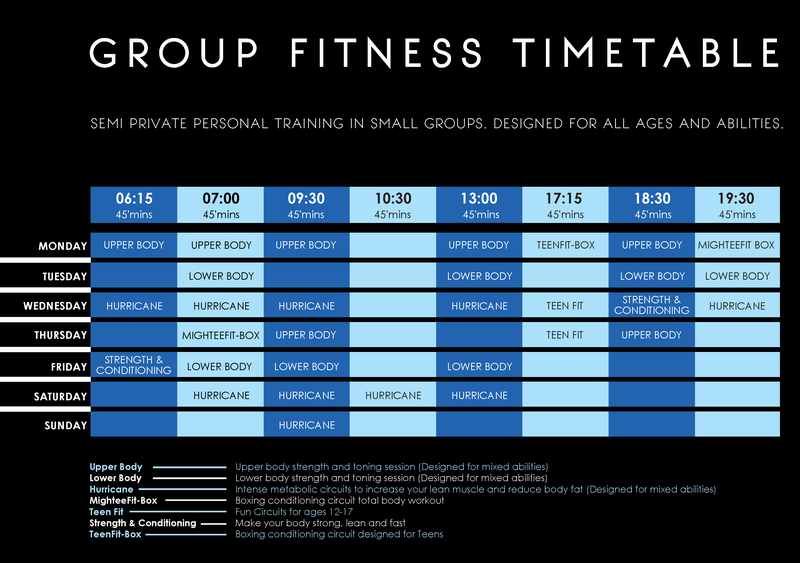 Group Fitness is an extremely cost effective way of working with a personal trainer and achieving all of your health and fitness goals in a bespoke gym environment. Intimate class groups in a 45 minute session ensures our trainers are able to positively effect your session and guarantee safety and quality control. Sessions can be purchased using a credit system with no commitment or monthly contracts. All sessions must be booked online using our user friendly online booking system which is also available as an app. Each class is one credit and is flexible around your time and day.